India is on the verge of a clean energy revolution – a revolution that will only happen if it is supported through ideas, thoughtfulness and relevant innovation. ‘Relevance’ holds the key to advancement of renewable energy especially solar energy that is available in abundance. The quest cannot be unidirectional. Each and every need that depends on energy cannot be fulfilled with solar electricity or wait to be fulfilled with solar electricity. This is where Clique Solar, India’s first Solar boiler company , steps in – expanding the scope of Solar Energy , specifically that of Concentrated Solar Thermal domain (CST) in a relevant manner. 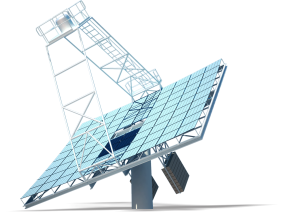 Clique Solar is in the domain of Concentrated Solar Thermal Technology. It works towards addressing needs of commercial (industrial process heat – IPH) and residential projects in the space of heating and cooling with its indigenous and commercially proven concentrating solar thermal technologies. Yes, we have patents and pioneering technologies to claim and talk about, but our idea goes beyond. The inquisitive and curious minds led by Dr Shireesh B Kedare and Dr Ashok Paranjape, have been working relentlessly towards making energy self-sufficiency part of reality around us. Our vision and thought is reflected in our latest relevant innovation – ARUN. 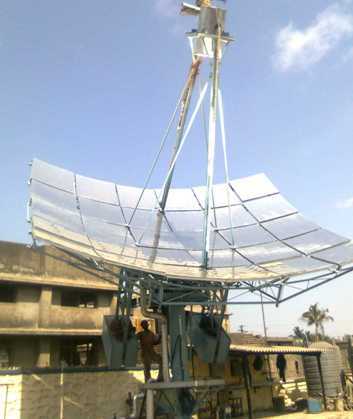 After spending over a decade in understanding and aligning needs of the companies with rigorous engineering, the team has launched a viable concentrated solar thermal system – ARUN - a Fresnel paraboloid solar concentrator system. The system has been developed keeping the challenges of the industry in view with developmental support from The Ministry of New and Renewable Energy (MNRE) and I.I.T. Bombay. Through our installations across various locations nation-wide, Clique Solar has helped companies save an equivalent of around 1000 liters of fuel everyday using solar thermal energy. The chart on the homepage will tell you about the fuel saved up till now. The company focuses on having an ecologically sustainable growth of industries thereby making various industries socially responsible and environment-friendly. We endeavor to develop cost-efficient and greener technologies for the CST industry, providing them with cleaner sources of production to fulfill their energy needs through continuous innovation & customer-orientation. Dr Kedare and Mr Paranjape - both alumnus of IIT-B and currently associated in various capacities with the institute – lead the company. You read about them here.